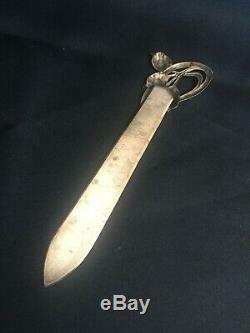 What an amazing letter opener and also i think a book page marker. 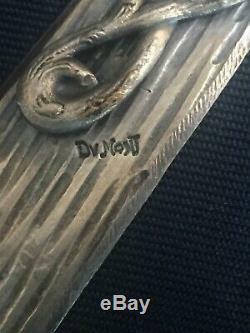 It is signe as shown Dv Mont or Dumont. 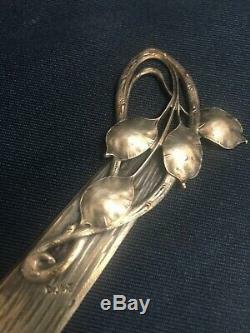 Could be french I think, from the Art Nouveau period. 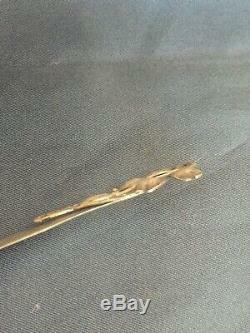 A wonderful piece, in a good condition, as you can see in the pictures. 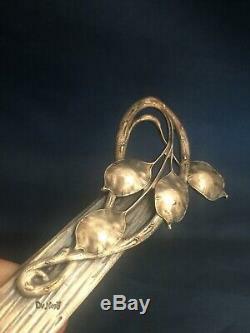 I´m not sure what it is made of, could be silver, but there are only the signature, no other marks. In need of a clean as it has some patina from age. I realy like them with this age patine, looks so beautiful. 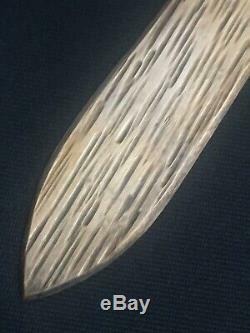 Measurements are: 5.62 inches long or 14.3 cm long. A very cute colletible piece. _gsrx_vers_827 GS 7.0.13 (827). 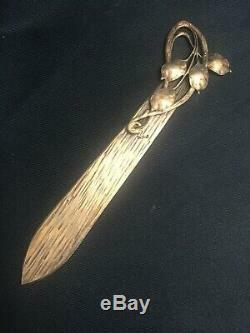 The item "Unique Art Nouveau Letter Opener & Book page marker 1900 sign. By DVMont Dumont" is in sale since Friday, February 8, 2019. 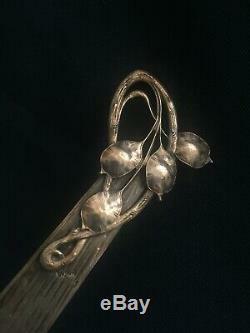 This item is in the category "Antiques\Silver\Unknown". 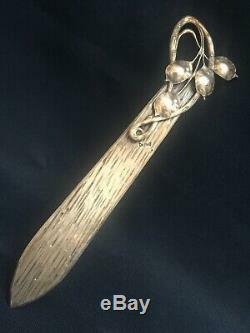 The seller is "antique-lover" and is located in Lisbon.